The Bedford RL series of 3-Ton (Later uprated to 4-tonne) trucks are one of the most well known and mass produced British vehicles of the post war era with approximately 73,000 made over a 17 year period. Entering service in 1952 the Bedford RL served in almost every British military unit long after production ended in 1969. This workhorse of the post war British Army was adapted into a wide range of versions to suit many particular operational roles. 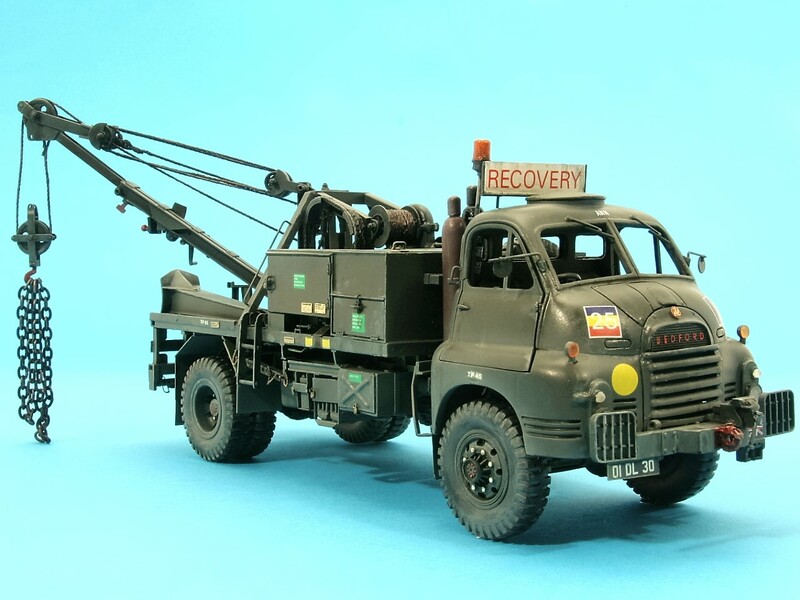 This complete 1/35th scale model kit designed by David Jane and Rob Tearle is produced in resin and etched brass with comprehensive full colour decals with many marking options. 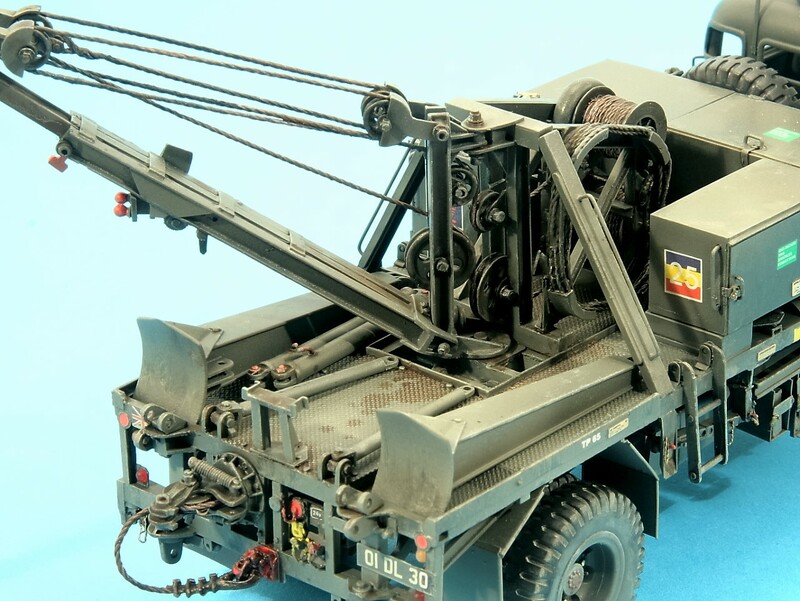 This particular model kit depicts the REME 3-Ton Light Recovery FV13115. 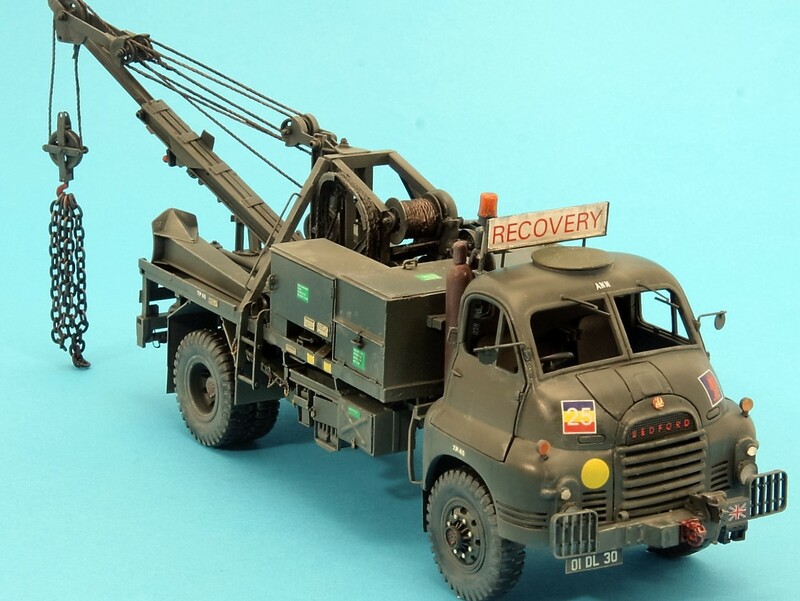 This is the recovery vehicle serving tucks up to 4-Ton, Ferret, Humber 1-Ton series & Humber Pig, and maintenance on larger vehicles such as Saladin and FV432 series. 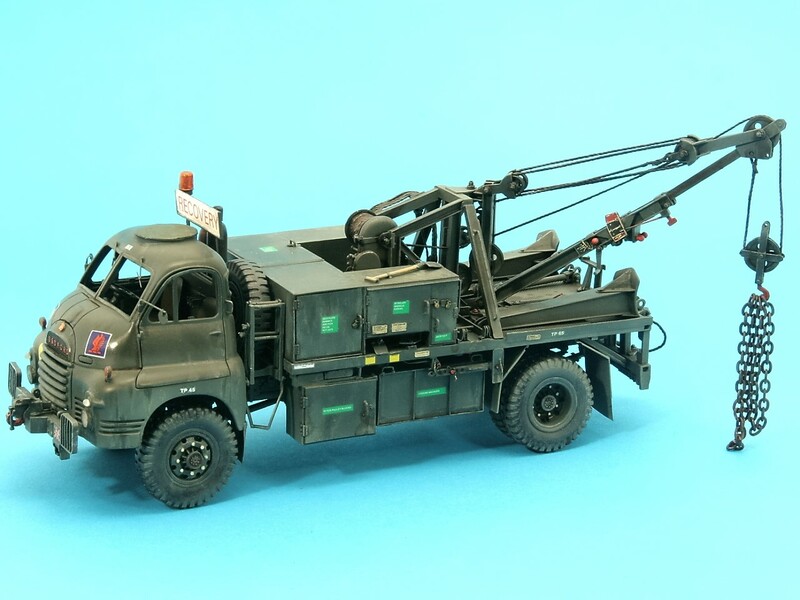 Full cab, chassis and suspension details are included along with fully detailed and accurate boom and associated equipment, jerry can and welding set stowage, cables and a wealth of fine detail including front mounted vise. An etched brass detail set includes front grille, Bedford logo, mudguards and tie downs etc. Lights are provided cast in clear & coloured resin and the front headlamp guards are fine laser cut material. My Gob is Smacked that this kit is currently unavailable, lol. Please advise when back in stock , regards Gary. The detail on this model is fantastic!! 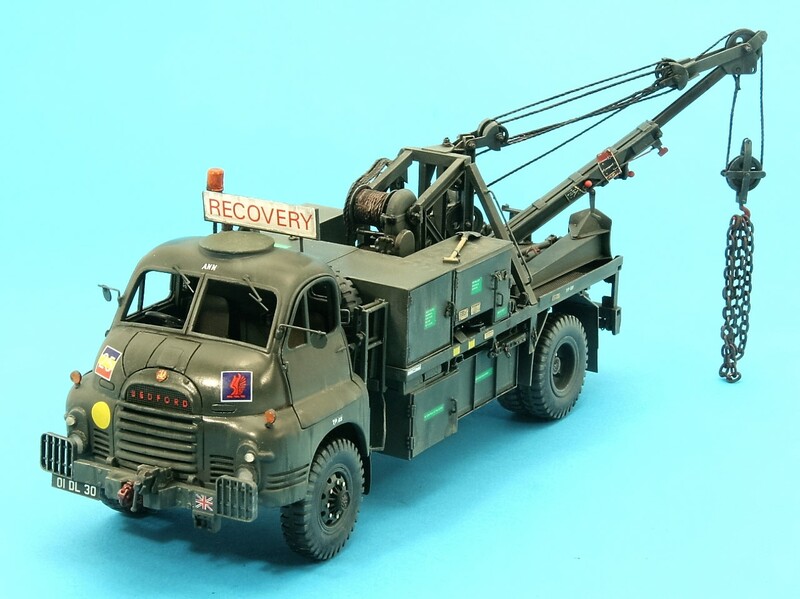 I used one of these very same Bedford Recovery Vehicles, Registration Number 371 ALC back in 1967, when the vehicle was issued to the Auxiliary Fire Service and based at Leigh Fire Station in Lancashire. 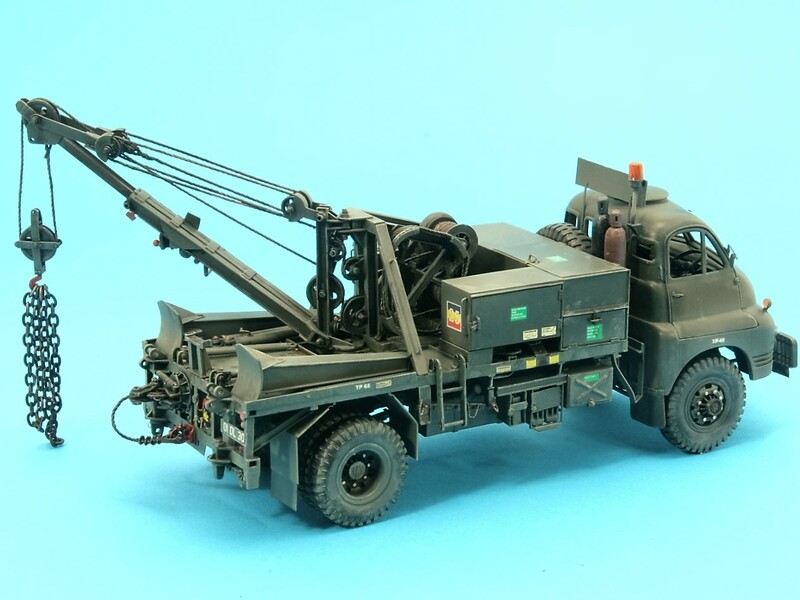 Although this model doesn&#039;t show the two wheel Bogie and lifting arm positioned on the top of the nearside lockers, which was a standard fitment. I also would also like to be informed if this model is ever re-produced. Regards. Stuart.